If there’s one band that are likely to make an enormous mainstream splash this year, you could put serious money on that being Slowly Slowly. Admittedly those are some big words right out of the gate, especially when similar claims are bestowed to countless others on a near-daily basis, but it’s undeniable that Slowly Slowly are locked in for something massive, and that they’ve been priming it for a while now. The acclaim their debut Chamomile received mightn’t have extended that far out of their native Australia, but now with a place among an ever-diversifying UNFD roster, there’s huge international potential there already. 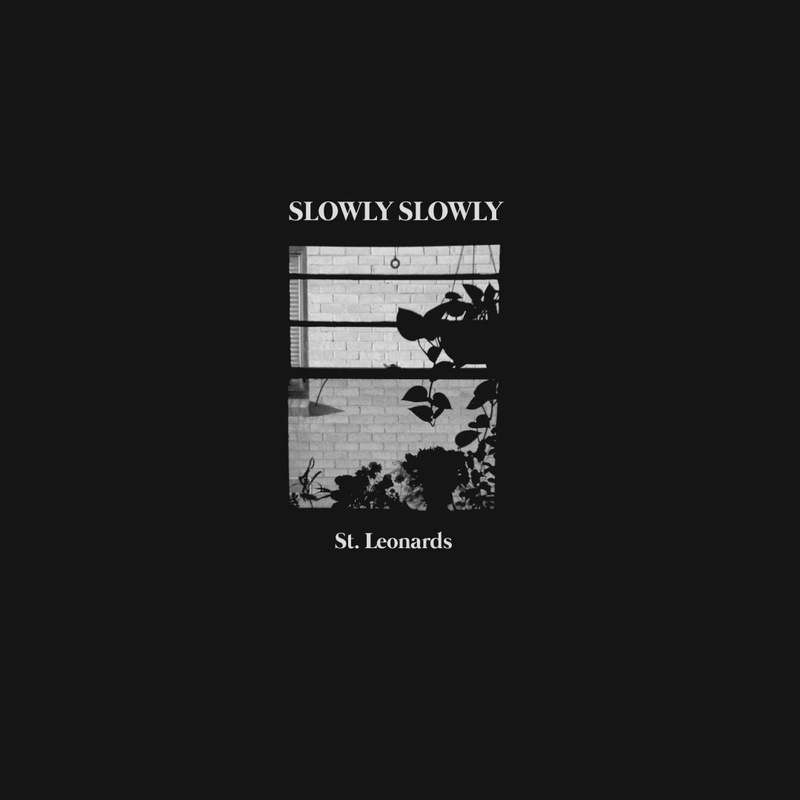 Most crucial of all though, is their sound, and with sophomore effort St Leonards, theirs is one that excellently splits the difference between unmistakably poppy and palatable emo that’s latched onto huge audiences time and time again, and a more creative, insular streak that rarely gets taken to this extent in a mainstream setting. And that’s a huge positive for Slowly Slowly going forward; as an album, St Leonards might feel a little fragmented under the pressure currently atop it, but as an explorative snapshot of modern life in the eponymous suburb, it’s an impressively thoughtful and often emotionally meticulous listen. A big part of that is Ben Stewart’s songwriting, and how it falls into distinctly unconventional territory for this sort of emo. There’s a reliance on esoteric imagery more than usual, and eschews a traditional song structure or pacing for something with the impression of greater rawness in an almost stream-of-consciousness fashion. Along with Stewart’s unmistakably vulnerable, quivering vocal delivery, there’s a sense of something personal yet not immediately tangible about these songs, from the tail-chasing social commentary of opener Dinosaurs, to the struggle of internal family strife on The Cold War, and coming to terms with the too-soon loss of a family friend on Song For Shae. Alongside the title track and The Butcher’s Window that paint a picture of suburban ennui that’s impressively detailed, both in the overall writing and in the personal image that it creates, the emotional stakes on this album are surprisingly high and resonant. On The flipside of that though, St Leonards does feel like an album where that takes precedence over a rock-solid sense of song construction, and honestly, that does make some degree of sense; for such a reliance on instinctual emotion, the likelihood of a less-defined overall sound is increased. Even so, the disparity between some of these tracks can feel a little off, and comparing a track like the grungy Smile Lines to the cleaner pop-rock twinkle of Aliens, or the minimalistic acoustics of The Butcher’s Window which could genuinely be an Ed Sheeran song, any sonic through-line is tenuous at best. Again, it’s easy to see why this has been done, mirroring the fragmented snapshots of turbulent modern life in the lyrics, and even though many of these individual sounds are certainly good, as a whole it doesn’t particularly click. The production doesn’t help in this case either, veering towards a sheen that’s not overbearing by any means, but would certainly benefit from something a bit more naturalistic, especially alongside a lyrical focus like this. But with all that said, Slowly Slowly have still proved capable of bringing this more personal sound into mainstream waters with ease, and despite some shortcomings that need to be ironed out, St Leonards is a commendable effort nonetheless. There’s accessibility here that’s bound to go down well, but also the deeper introspection that so much of pop-rock desperately lacks in this capacity, and that adds an extra dimension that alone helps to stand out. Even if more refinement is needed, the base of quality is already near-watertight for Slowly Slowly; even if the best is yet to come, you could do worse than paying attention now. ‘St Leonards’ by Slowly Slowly is released on 11th May on UNFD.